Time to sell your Needle Rush Point condo? Read about today's resort-market buyer. 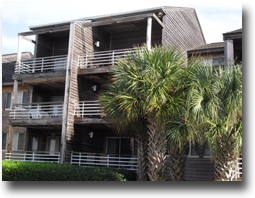 Needle Rush Point condos are located just east of the Alabama state line near the world famous Flora-Bama package and lounge, often referred to as one of America's last great roadhouses. Needle Rush Point offers the best of both worlds with the condos directly on the Gulf of Mexico and across the street is the first come, first serve boat facilities with power, trailer storage, and deep water access. A short run to the Gulf of Mexico and the great fishing coupled with a tennis/racquetball area, pools on both sides, and over 500 feet of private beach along the Gulf make Needle Rush Point one of the more popular developments in Perdido Key, Florida. Please let us know if you would like further info for Needle Rush Point or any other condos, homes, or real estate along the Gulf Coast or would like to schedule a private viewing by emailing info@condoinvestment.com or by calling (251) Area-Pro (251-273-2776) for immediate assistance. RENTAL TIPS to increase your Needle Rush Point rental revenue. Additional info for annual rental incomes for Needle Rush Point and other Perdido Key condos.